The Festival of Light is definitely one of the most spectacular annual event in Berlin. 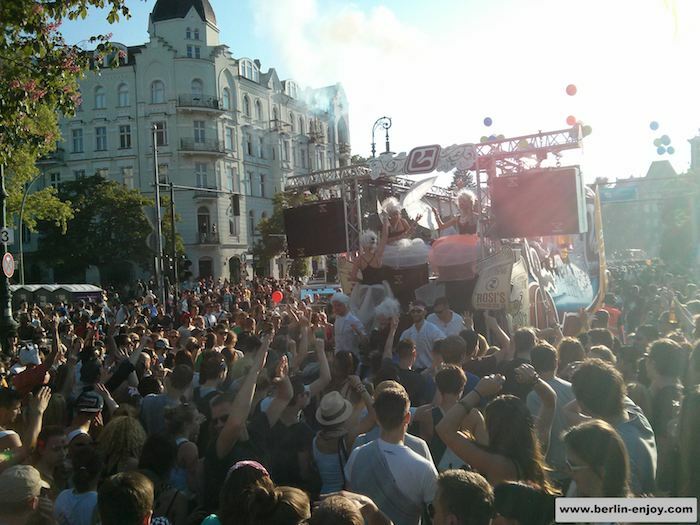 In the month October, when the weather makes it a bit harder to enjoy the summer-activities, Berlin literally lightens up and entertains millions of tourists. 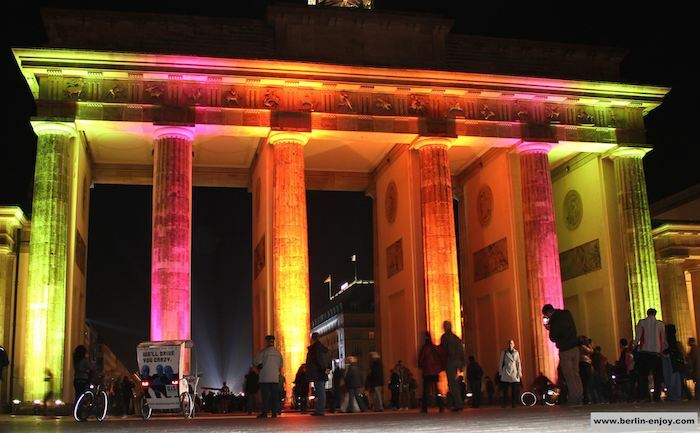 People from all over the world come to visit Berlin to experience the illuminations during the Festival of Light 2017. But what exactly is this Festival of Lights? 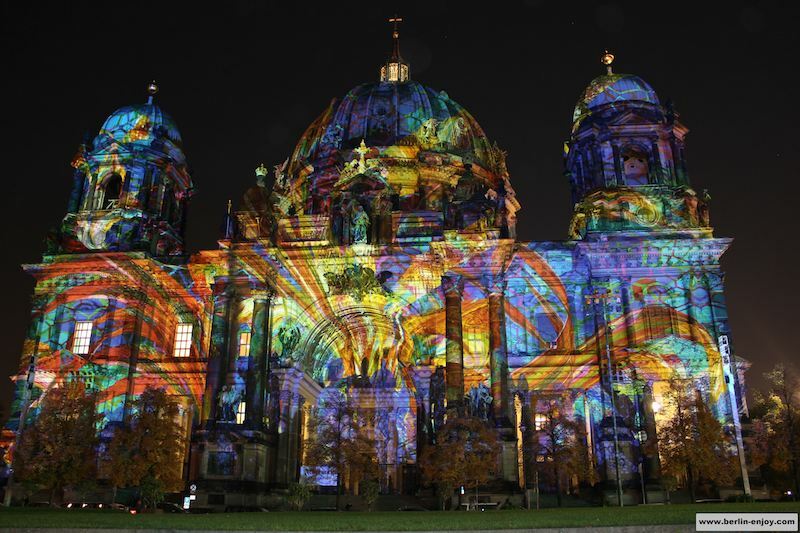 It is is a yearly festival in which over 70 locations all over Berlin will be illuminated in a special and creative way. Historical places, attractions, landmarks, large buildings and famous squares will be illuminated by national and international artists. The images in this article are probably the best way to explain how impressive this can look. 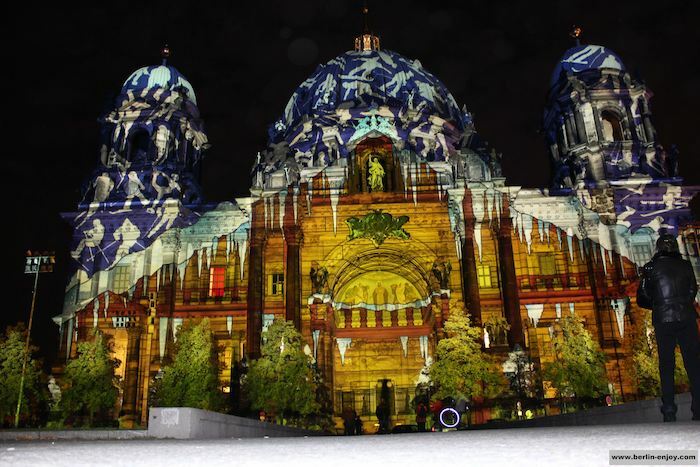 The Festival of Lights turns the whole city of Berlin into one free exhibition. This year the Festival of Lights will be organised for the 13th time. The first illumination festival was organised in 2005 and since that year the amount of visitors have been increasing rapidly. 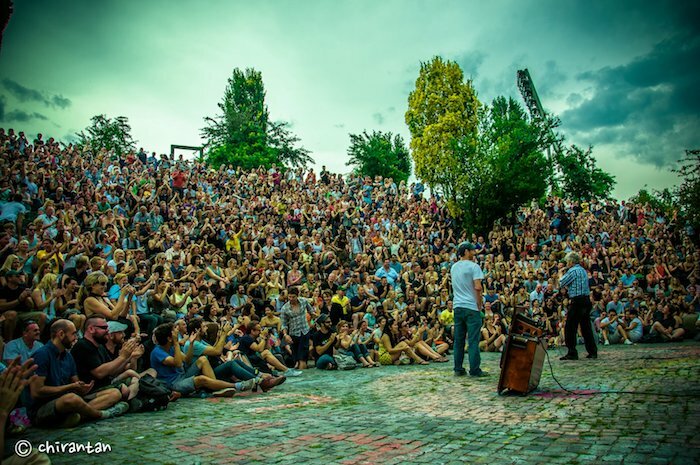 Last year, more than two million visitors came to Berlin and over half a million extra hotel-bookings were registered. 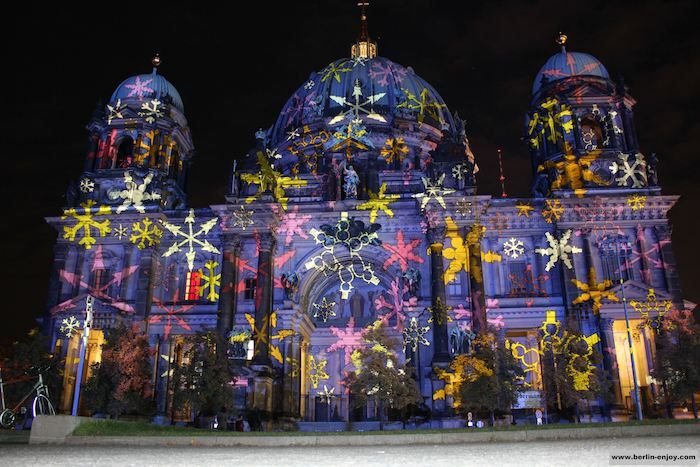 The Festival of Light in Berlin can definitely be called one of the most successful illumination-events in the world. This year, visitors can enjoy the Festival of Lights from the 6th till the 15th of October 2017. The illuminations normally start around 7 PM and end around midnight. 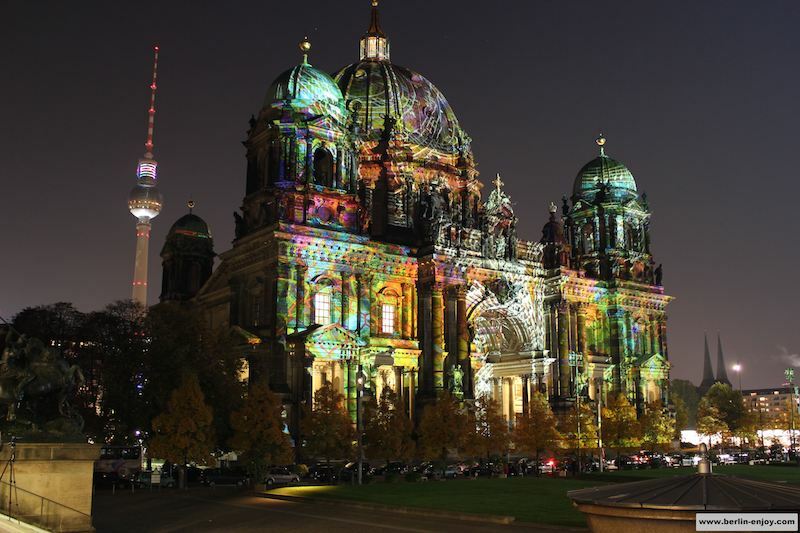 You can see more than 70 different illuminations during the Festival of Lights in Berlin: From the Fernsehturm to the Berliner Dom and from the Brandenburger Tor to Hauptbahnhof, Berlin will be the main actor in it’s own show. A full list of all the illuminations of the Festival of Lights 2017, will be published on the official website. 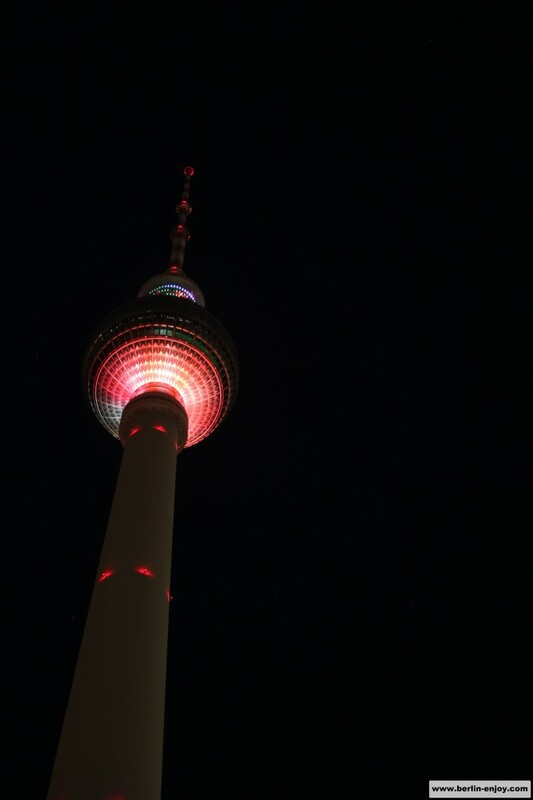 The first few times I visited the Festival of Lights, the grand opening was organised on Potsdamer Platz on the first official day of the festival. But since the last couple of years the organisation decided in favour of a collective lights-on moment, where all the illuminations will light up at the first time. This will be an impressive moment on the 6th of October at 19.00. Although it is not the main spot for the grand opening, the Potsdamer Platz is still a great spot to be during lights-on because there are several impressive buildings at one location. 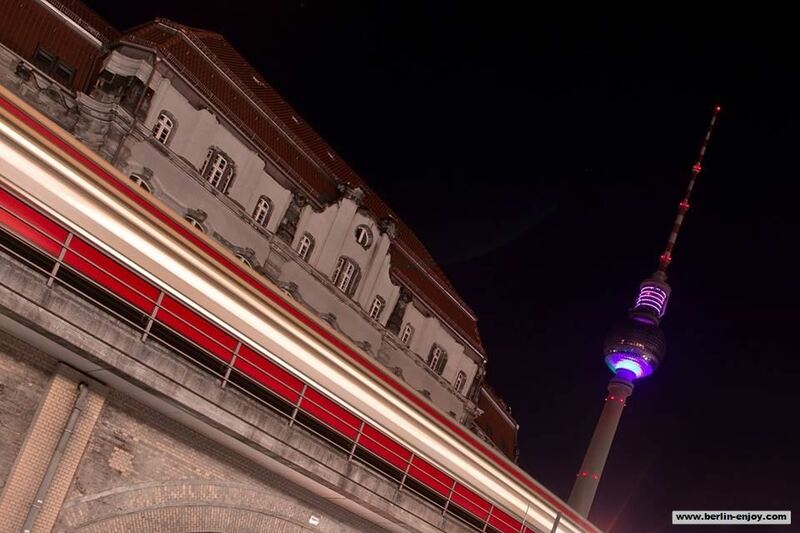 Make sure you mark the date and experience the moment that Berlin is light up for the first time in 2017. If you are looking for an organised experience, you can decide to use one of the many tours of The Festival of Lights. You can enjoy the illuminations by boat, bus, foot, segway and in several other ways. Examples of tours are the Lightliner Bus, the Lightartship Boat and a tour called Lightsightrunning (which will include a lot of running indeed). Obviously, the tours differ in price, destinations and starting point so it is probably best if you take a look at the section on the website of the festival of lights. The Festival of Lights is the perfect stage for anybody who likes to use a camera. You will see a lot of professional photographers but as you can see in this article, even a hobby-photographer can take a few solid photos during this event. 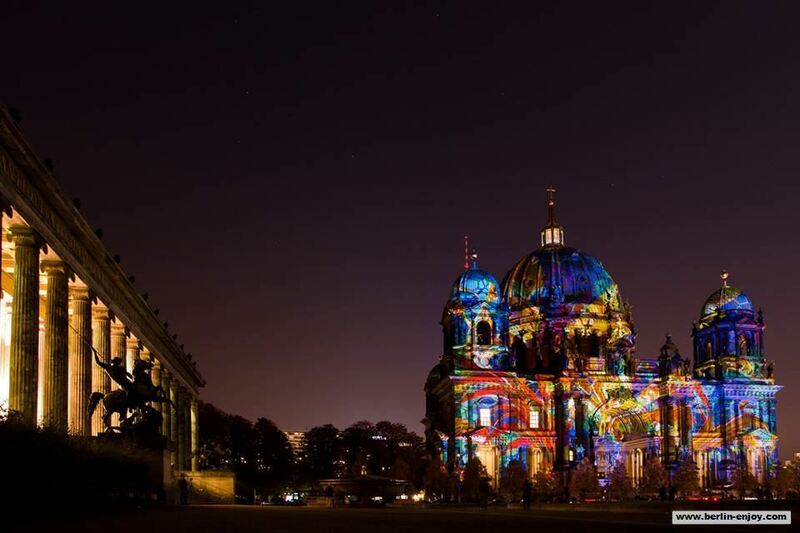 All attractions in Berlin, which are already impressive during the rest of the year, will blow your mind during the Festival of Lights. If you are a photographer you might be interested to participate in the photo-contest. Every year the organisation of the Festival of Lights invites everybody to submit their photos. The first place can win 1000 Euro so it’s worth a try. Below you can see the winner from last year’s edition of Festival of Lights. The most busy time of the evening is between 19.00 and 21.30 (especially during the week). If you are in Berlin as a tourist you probably do not mind to visit the illuminations a bit later. 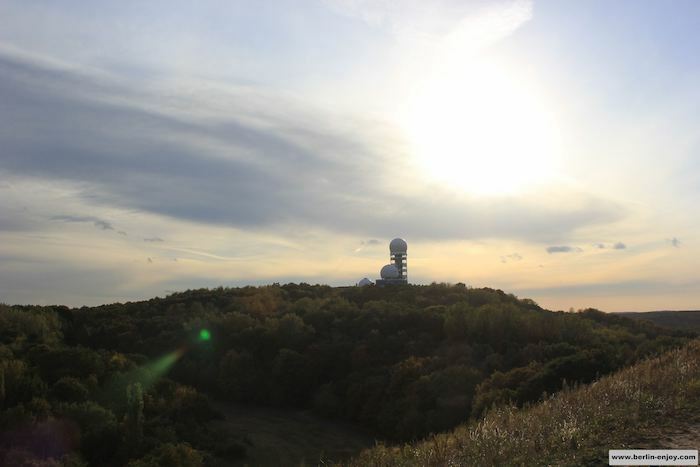 Another advantage is that the light-shows are getting more spectacular when it gets darker later at night. On several spots during the Festival of Lights you can spot the “Guardians of Time”. These are light-creatures which can be spotted on different locations every night (see the photo below). On the official website of the Festival of Lights you can find more information in the category Program . 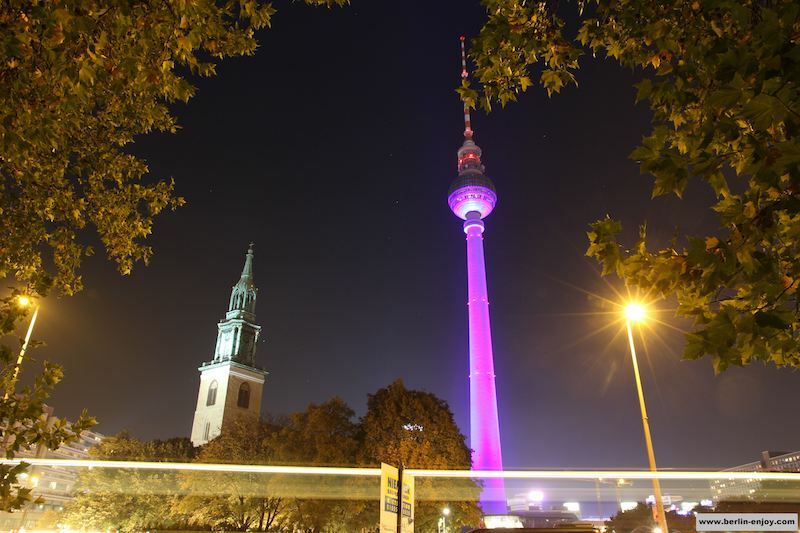 The main touristic attractions like Brandenburger Tor and the Berliner Dom can be quite crowded. Therefore it might make sense to visit a less famous place, like the Märkisches Viertel or the Humboldt University. These locations are also very impressive and normally less busy. The festival of lights is free of charge. It is also allowed to bring your own drinks and food. This enables you to have a nice picknick with your partner with a illumination in the background. Besides the official website, you can also have a look on Facebook if you want to get the latest information about the Festival of Lights 2017. If you want to see some videos you can also check out their Youtube-Channel. The last couple of years, the Festival of Lights has been a great success. 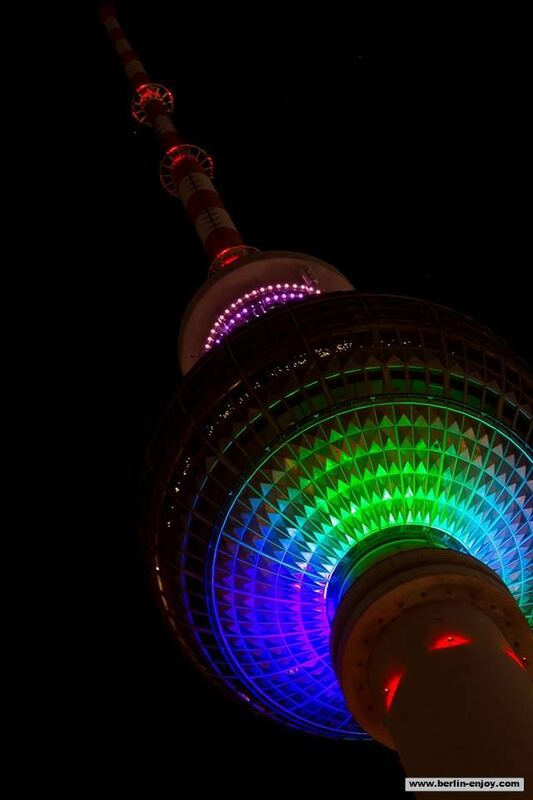 For 11 days, most of the landmarks in Berlin were even more impressive than they normally are. Obviously I enjoyed the great illuminations myself as well: Below you can find some of our photos from the last couple of years.